Fall is officially here and the kids are back in school, so that can only mean one thing: it’s time to plan a fun vay-k! Whether you’re on the hunt for the best foliage or looking for some serious R&R, you’re in luck. From New York to Hawaii, we’ve rounded up a list of five fab places to add to your fall travel list. The only hard part? Narrowing it down to one. 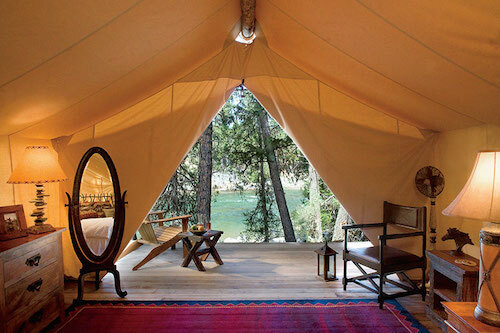 If you want to completely check out, and we mean in the lap of luxury kind of way, The Resort at Paws Up is calling your name. The property spans across 37,000 gorgeous acres of pure Montana ranch land. Think A River Runs Through It minus Brad Pitt. Opt to stay in a glaaam Safari-like tent so you can become one with nature (camping butler, heated floors, a comfy bed, and an en suite bathroom included! ), or choose one of the private ranch homes. Sip on a Huckleberry Hound, the resort’s signature cocktail, or glass of red, and watch fall unveil. Making it an even more noteworthy destination for fall, guests can partake in a series of events like their recent Upper Crust–A Sophisticated Pie and Cookie Camp, led by Kate McDermott (aka “The Pie Whisperer”), and James Beard Award-Winning Chef Mindy Segal. The workshop took place October 9-12. Kate ensured that “every student not only learns essential pie making skills, such as how to make dough, but will leave the event having made a pie from scratch from start to finish.” Yum! If you’re looking to embrace fall island style, we suggest doing so at Travaasa Hana. The road to Hana itself is a breathtaking drive that you don’t want to miss out on. And the resort is an oasis that’s tucked far away from mainstream Maui. 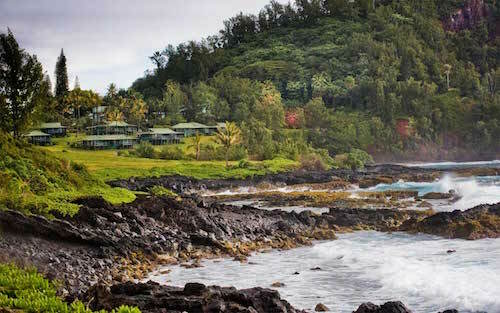 Think sea cottages, rolling grass fields, and palm trees located above the stunning Hana Bay. It’s seriously #pictureperfect. Our favorite thing to do? Sit on the sun-drenched deck drinking endless amounts of freshly brewed coffee while listening to the waves crash. The resort also offers a bevy of fun activities such as bamboo pole fishing, ukulele classes, canoeing, cocktail making classes, regional cuisine cooking classes, and more. 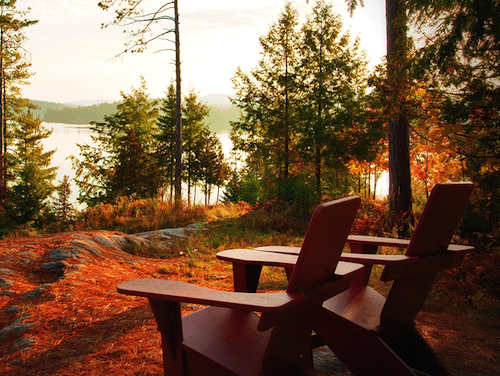 While there may not be noticeable fall foliage, it’s the perfect escape from some serious R&R. And don’t miss out on the Lomilomi massage, a traditional Hawaiian massage, at the spa. If foliage and a quaint mountain town are requirements for your fall getaway, Washington School House is a fab option. 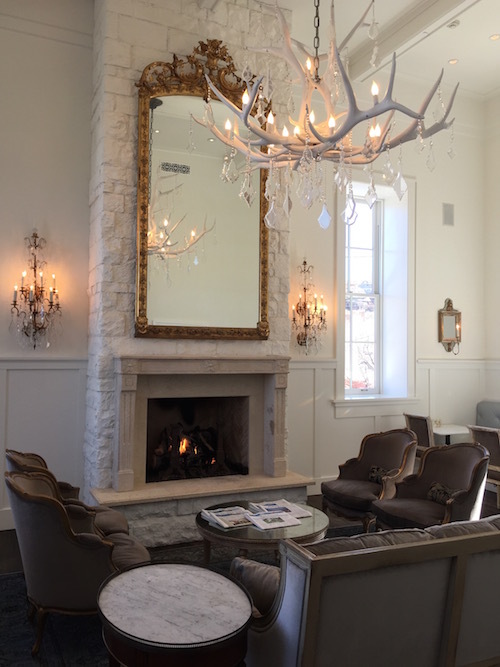 The 12-room historic school house-turned luxury boutique hotel two blocks from bustling Main Street, giving you easy access to all that Park City offers–gorgeous changing leaves included. Or sit back and relax in the heated rooftop pool or jacuzzi and take advantage of the all inclusive food and beverage services (including an on-call bartender! ), afternoon snacks, and cozy fireplace. Other not-to-miss amenities include Chef Ernesto’s breakfast concoctions, frolicking around in the Pratesi linens, and the deluxe size Molton Brown beauty amenities. We won’t tell if you swipe them all! From the service to the location, it’s one mountain escape that you’ll want to go back to year after year. A few hours north of New York City is The Point Resort, a breathtaking escape located on Saranac Lake in the Adirondacks. Once a Great Camp, a fancy, yet rustic 19th century summer escape for families like the Rockefellers and Vanderbilts, the resort still boasts the same grand, fanciful feel. And since it’s adults-only, it’s the perfect option for a romantic weekend getaway. It’s also one of the most scenic spots to watch the leaves change color in the fall. Grab your beau, enjoy their not-to-miss breakfast in bed, and enjoy some QT. 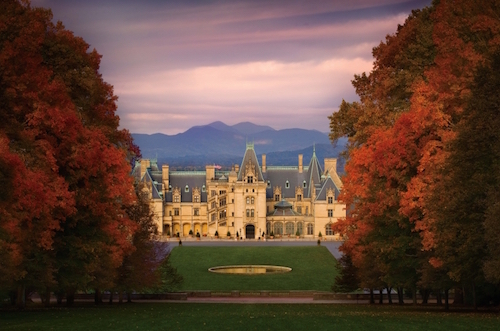 Both tourists and locals alike flock to Asheville, North Carolina to scope out fall foliage at the historic Biltmore Estate, which was built by George Washington Vanderbilt between 1889 and 1895. To fully immerse yourself into the scene, stay at The Inn on Biltmore Estate. They have a fab Fall Harvest Celebration Package running from October 30 through November 1, which includes two nights accommodations, a bottle of Biltmore Wine, estate admission, a special harvest dinner at Antler Hill Barn, and more. What Really Happens When You Freeze Your Eggs?